I last updated you all with photos of my skin's progress on August 27th, and since then my face has really been on a rollercoaster. My skin started to improve, then got worse, and finally got bad enough where I started to look at other options. 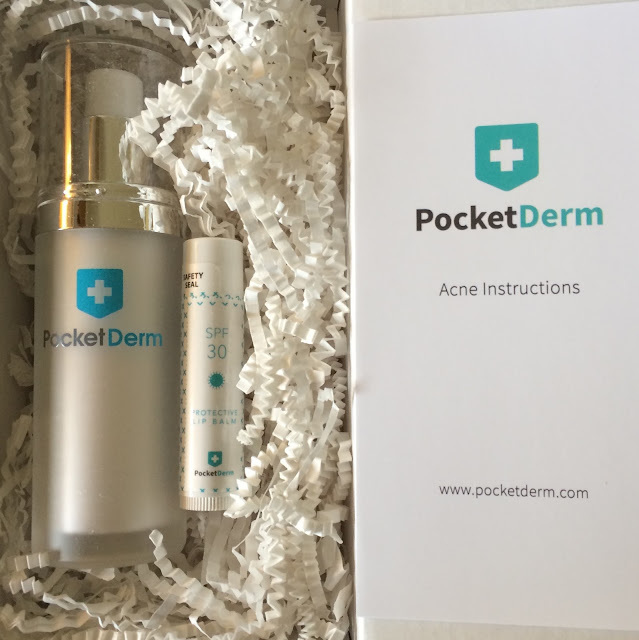 I've seen a lot of mention of Pocketderm over the past year, but only recently thought that it would be worthwhile for me. So I buckled down and ordered as my face progressively got worse. Before I go further with this update, here are some photos I took of my face on September 15th. This is difficult for me, because even after not caring for my face for over a month straight, it never looked this bad. 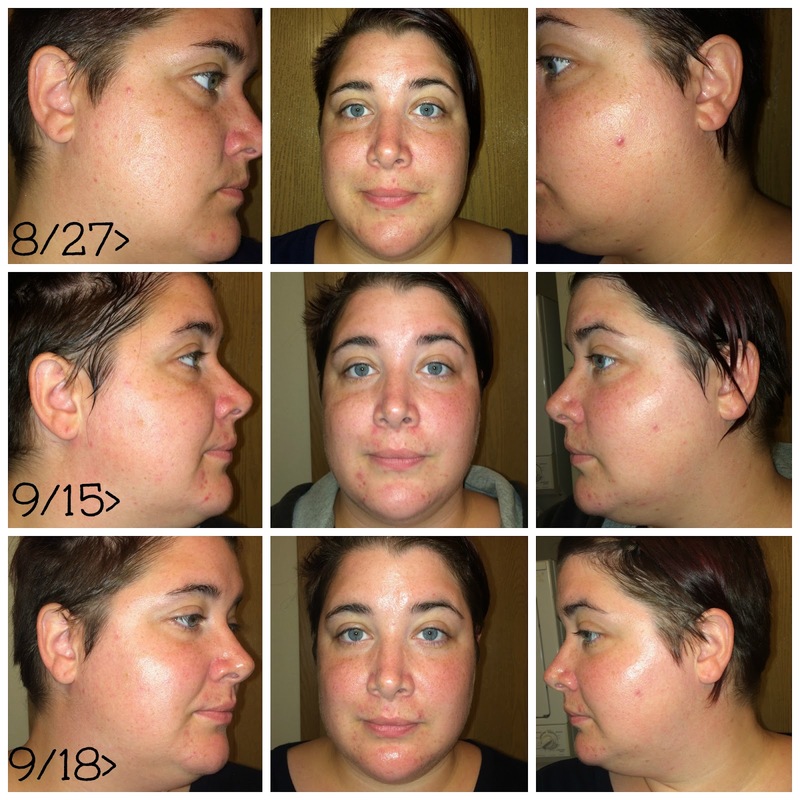 This is the day my first Pocketderm prescription arrived, I started applying it this very night after I took these photos. In all my years of adolecense I never remembered my face being so ugly, so blemished, or so painful. So why would I share this with you? 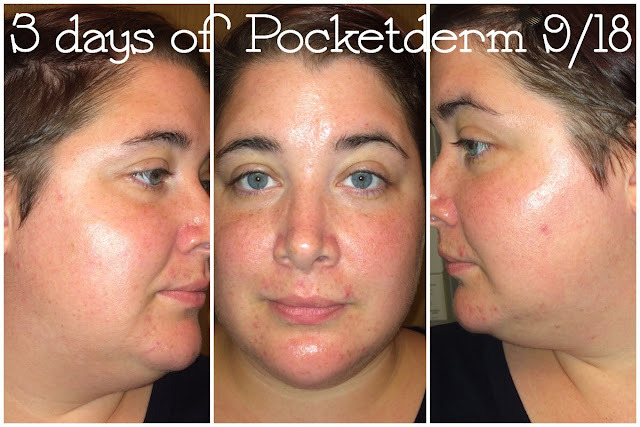 Because you would never believe how quickly my skin has turned around after starting Pocketderm. I'm skeptical at quick recoveries and magic claims, espcially when a company warns that it may take up to 8 weeks to see results, but this is something you guys need to see to believe. The next set of photos is from this morning, just 3 DAYS after starting Pocketderm. My skin is already healing, my cystic acne is nearly gone, my skin is no longer painful, and my blackheads are continuing to disappear again. My skin has completely turned around in a matter of days! My skin and I still have a lot of work to get through, but this was such a massive improvement in such a short amount of time that I had to share this with you right away! UPDATE: Curology is now Pocketderm! Due to it's succress and growth, Pocketderm has renamed itself as of 9/30/2015 to Curology to represent it's caring, curing, and healing it provides for its' patients. Curology is a tele-dermatology site that allows you to receive a prescription topical cream with three active ingredients to help you with your skin. You simply submit photos of your skin when you sign up, along with any additional information you think your dermatologist should know (and yes, the people helping you really are doctors!) and they review your photos and info to diagnosis your skin issues. Curology will curate a personalized cream for you with three out of the six active ingredients they have to offer for just $19.95 per month. You will automatically receive a new shipment of your prescription every 3 months, but if you need one sooner, you can request one from your provider. Your monthly fee for Curology not only covers your prescription, but also unlimited consultations with your provider. Check out the bottom of this post to learn how to get one month free! I'll be updating again in a few weeks, so be sure to check back for more comparison photos! Disclaimer: The Glitter Chic blog purchasedthe product(s) mentioned in this post for the purpose of review and evaluation. No monetary compensation was received for this post. The Glitter Chic blog will always provide honest opinions, beliefs or experiences on products reviewed. If you have any questions, please contact me at gothickornchic at gmail dot com. This blog contains affiliate links and I may receive a small commission if you make a purchase using one of those links. The Glitter Chic is not responsible for prize delivery. The disclosure is done in accordance with the Federal Trade Commission 10 CFR, Part 255 Guides Concerning the use of Endorsements and Testimonials in Advertising. Wow, it definitely works. I am so glad you were able to get before and after pictures so we can see all the improvement! That is awesome. Wow it looks like it really works. I will have to check out this product. This yields some really quick results! Great find! Both varieties would be really useful. Awesome! You can really tell the difference between the before and after pictures. I love that it puts a certain glow on your skin too. It's so wonderful when you find a great product that works well. 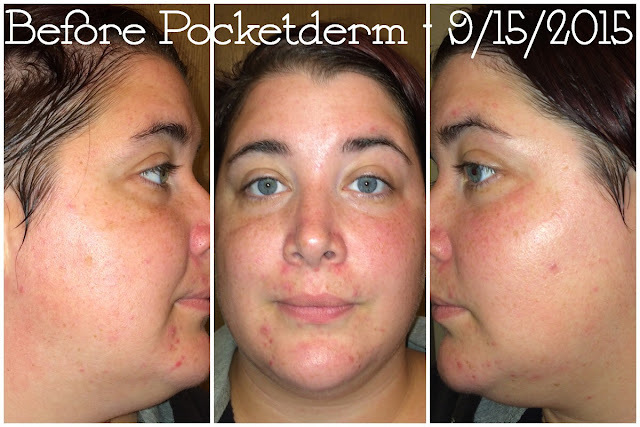 I haven't tried Pocketderm, but I'm hoping I'd have similarly amazing results. You are beautiful either way! I can see a big difference in your skin, though! I'm so glad you found a product that works well for you!! It is definitely starting to look much better. I am so sorry you have to deal with that. It can't be easy. Looks like some great improvements so far. I do like how your skin changed and is brighter. How exciting! I love it when products live up to their claims! Wow it just really works I'm so glad that you are finding a great products! i have an black heads problem.